Nuriootpa is the major commercial centre in the Barossa Valley in South Australia, about an hour's drive north of the capital, Adelaide, and 77 kilometres by rail. On the 7th (Thu), do a tasting at Murray Street Vineyards, then learn about winemaking at Seppeltsfield, then learn about winemaking at Two Hands Wines Cellar Door, and finally learn about winemaking at Whistler Wines. On the next day, learn about winemaking at Wolf Blass, look for gifts at Maggie Beer's Farm Shop, learn about winemaking at Yelland & Papps, then learn about winemaking at Penfolds Barossa Valley Cellar Door, and finally learn about winemaking at Yalumba. To find more things to do, reviews, and other tourist information, refer to the Nuriootpa online trip planner . Adelaide to Nuriootpa is an approximately 1-hour car ride. You can also take a bus; or do a combination of train and bus. Expect a daytime high around 32°C in March, and nighttime lows around 17°C. Finish your sightseeing early on the 8th (Fri) to allow enough time to drive to Tanunda. Start off your visit on the 9th (Sat): do a tasting at Chateau Tanunda, then do a tasting at Langmeil Winery, and then awaken your taste buds at some of the top wineries in the area. On the 10th (Sun), you'll have a packed day of sightseeing: learn about winemaking at Chateau Dorrien, learn about winemaking at Charles Melton Wines, do a tasting at Rockford Winery, then do a tasting at Peter Lehmann Wines, and finally admire the landmark architecture of Seppeltsfield Mausoleum. For traveler tips, photos, and tourist information, read our Tanunda day trip planning app . Tanunda is just a stone's throw from Nuriootpa. Expect a daytime high around 32°C in March, and nighttime lows around 17°C. Finish your sightseeing early on the 10th (Sun) to allow enough time to travel to Lyndoch. Lyndoch is a town in Barossa Valley, located on the Barossa Valley Highway between Gawler and Tanunda, 58 km northeast of Adelaide. Start off your visit on the 11th (Mon): make a trip to Whispering Wall, look for all kinds of wild species at Gorge Wildlife Park, then examine the collection at National Motor Museum, and finally do a tasting at Kellermeister. Get ready for a full day of sightseeing on the next day: learn about winemaking at Barossa Chateau, look for gifts at Kies Family Wines, and then admire all the interesting features of Lyndoch Lavender Farm and Cafe. To find traveler tips, photos, more things to do, and tourist information, use the Lyndoch vacation builder . Lyndoch is just a short distance from Tanunda. In March, daily temperatures in Lyndoch can reach 32°C, while at night they dip to 17°C. Finish your sightseeing early on the 13th (Wed) to allow enough time to travel to Adelaide. 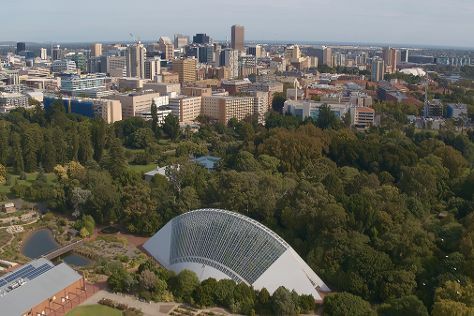 Start off your visit on the 13th (Wed): hunt for treasures at Adelaide Central Market, then steep yourself in history at Adelaide Oval, then admire the natural beauty at Adelaide Botanic Garden, and finally take a stroll through Rundle Mall. To see photos, maps, where to stay, and more tourist information, read our Adelaide trip maker tool . Getting from Lyndoch to Adelaide by car takes about 1.5 hours. In March, daily temperatures in Adelaide can reach 30°C, while at night they dip to 18°C. Finish up your sightseeing early on the 13th (Wed) so you can travel to Kangaroo Island. Spend the 14th (Thu) exploring nature at Flinders Chase National Park. 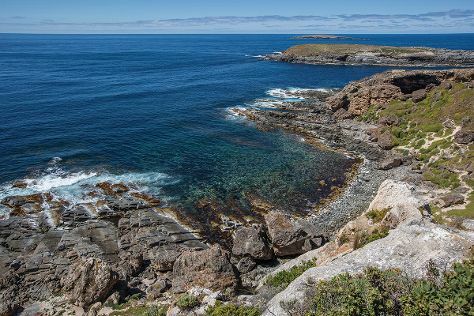 There's lots more to do: identify plant and animal life at Seal Bay Conservation Park, admire all the interesting features of Island Pure Sheep Dairy, don't miss a visit to Emu Ridge, and brush up on your knowledge of spirits at Kangaroo Island Spirits. To see more things to do, where to stay, traveler tips, and more tourist information, use the Kangaroo Island trip planner . Fly from Adelaide to Kangaroo Island in 2.5 hours. Alternatively, you can do a combination of car and ferry; or do a combination of bus, ferry, and taxi. Finish your sightseeing early on the 17th (Sun) to allow enough time to travel back home.